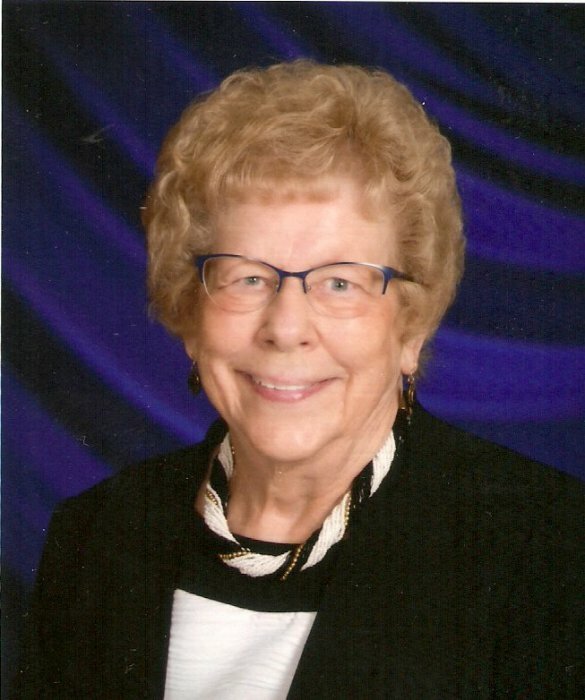 Obituary for Esther Elizabeth (Graden) Morie | McCombs Funeral Home Inc.
Esther Elizabeth Morie, 88, of Jackson, MO, passed away October 26, 2018, at the Monticello House in Jackson. She was born May 7, 1930, in Cape Girardeau, MO, daughter of Louis E.T. and Ella Haertling Graden. She and James “Jim” Turner were married and to this union they were blessed with their four children. She later married Herbert “Herb” Morie on June 6, 1998 and he passed away April 20, 2010. Esther had worked at the International Shoe Company and Lee Rowland Company in Jackson. She was a member of Emanuel United Church of Christ in Jackson. Loving survivors include her three sons: Dennis ( Gina ) Turner of Washington, IL, David ( Marilyn ) Turner of Jackson, and Douglas (Terry Jones) Turner of Jackson, four grandchildren, three great grandchildren, and a son in-law: Gary King. She was preceded in death by her two husbands, a daughter: Karen King, two brothers, and eight sisters. The Memorial visitation will be from 10 am ~ 11:30 am on Tuesday, October 30, 2018, at Emanuel United Church of Christ, 304 East Adams, Jackson. The Memorial service will be at 11:30 am on Tuesday, October 30, 2018, at the church with the Rev.Joe Rowley officiating. Inurnment will follow at Salem Cemetery in Cape Girardeau. Cremation will be accorded by McCombs Funeral Home and Cremation Center in Jackson. The family suggests that contributions be made to Emanuel United Church of Christ, Jackson.